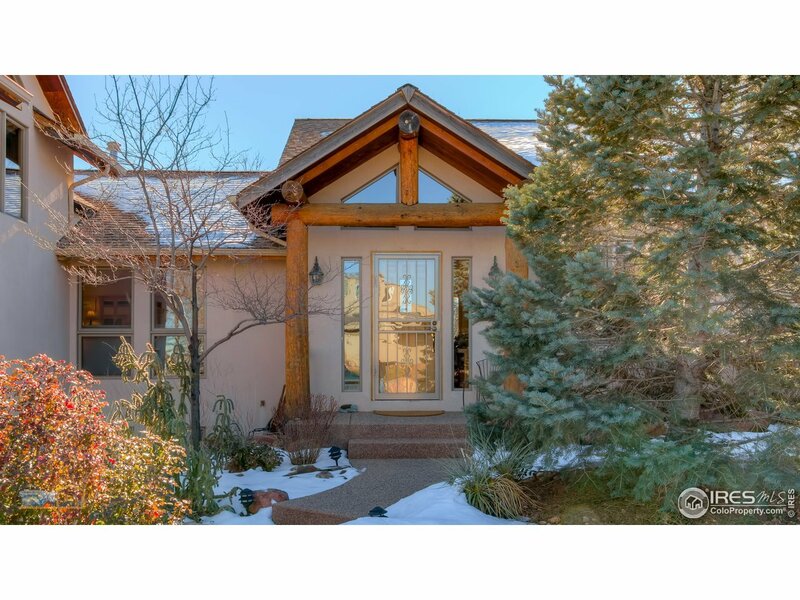 Exceptional views from this wonderful south Boulder home in a much sought-after neighborhood. Open concept, soaring ceilings, bathed in natural light, windows galore. South facing deck, patio, backs to private open space. Nicely appointed with southwest styling, rustic touches. Master retreat w/ huge loft, view balcony. Abundant storage. Rec room w/ wet bar. Solar PV-owned. Workshop off garage w 220. 3rd BR (lower) converted to office. Near miles of trails, rec center, shopping, dining.